Hello all you amazing readers! First I hope you can all forgive me for my lack of posts and I do mean lack of posts!! I wanted to update you all on what has been going on in my little life. I am a Junior in college now still studying hard trying to figure out how I’ll be able to turn my passion for helping people like you all into a career. I moved into my very own home its very small but it’s wonderful because its mine! But most importantly my family welcomed a beautiful baby girl into yesterday morning. Her name is Milania and she is absolutely perfect in every way!!! Although I haven’t met her yet because I am away from my home town I am beyond excited for Saturday when Ill finally get to see her cuteness in person!! Ashley (the mother) is such a strong and inspiring woman, I know that Milania is going to grow up just the same! In honor of Milania and Ashley I wanted to write to you all about change and love! These two things seem like they may have nothing in common but they actually have a heck of a lot in common. I’m sure you have all heard the cliche love is about compromise, but sometimes it goes more like: love is about change! which is not always a bad thing. Ashley’s life has changed forever! After yesterday she went from being a daughter, sister, cousin, friend, hairdresser, woman, ect… to being all that plus her new and most important title MOTHER!! Milania is a product of love and that love brought along this amazing baby girl and a lot of change to the life of her family! SO you can see change and love go hand and hand. I’m sure some of you reading this are mothers or fathers and have experienced this positive and amazing change but for all of you younger ladies this may not apply to you for years! So let’s come up with a story for you all COLLEGE! I know many of my readers are in high school nd believe it or not college or jobs will happen for you eventually and you will have to face a lot of change! You will have to deal with moving away or having others move away and sometimes that is your love, this can be hard! You will not know whether you should give up or hang on. Well let me tell you, you have the answer I promise you! You are the one who needs to make that choice don’t let anyone else make that choice for you because then you are letting this other person control your life! Be strong and take your time you are young, you have time to fall in love or out of love many times. This can hurt but you will heal! I am not saying that love at a young age isn’t real because believe me I know it is just as real at 15 ten it is at 50 but your heart will guide you and you will make the right changes for you! ‹ PreviousI cracked the Code!! 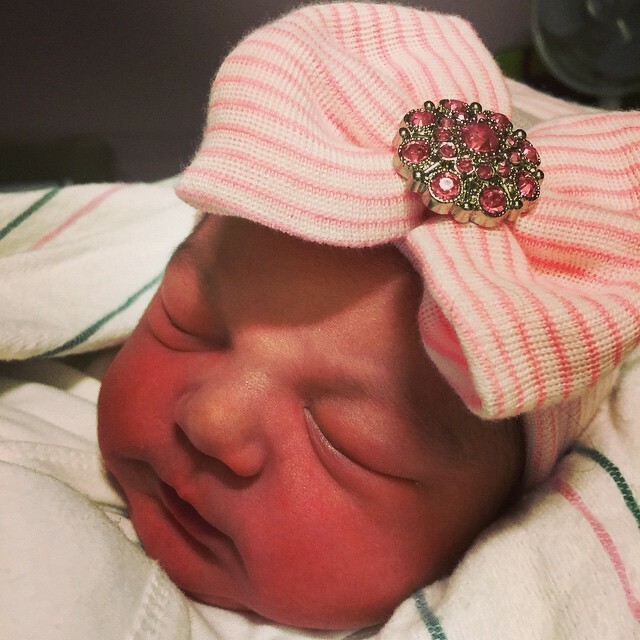 Congratulations to your family on this beautiful baby girl! Children are a blessing from God, I wish the mother and father much luck and love in their new family! Thank you so much I will pass your well wishes on to the mother and father. I am sure that they will be so happy to here these kind thoughts!